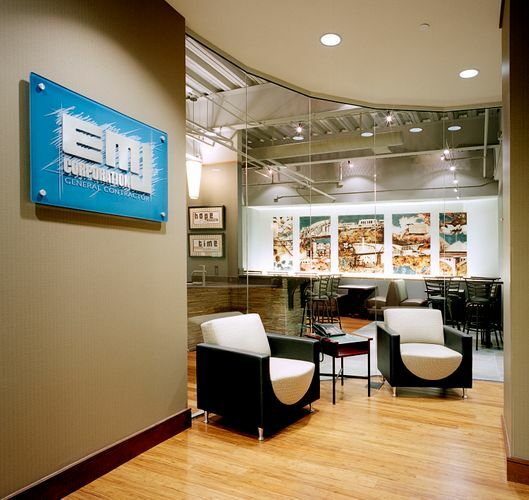 EMJ Corporation's 34,000-square—foot headquarters occupies two floors of the new CBL Center. 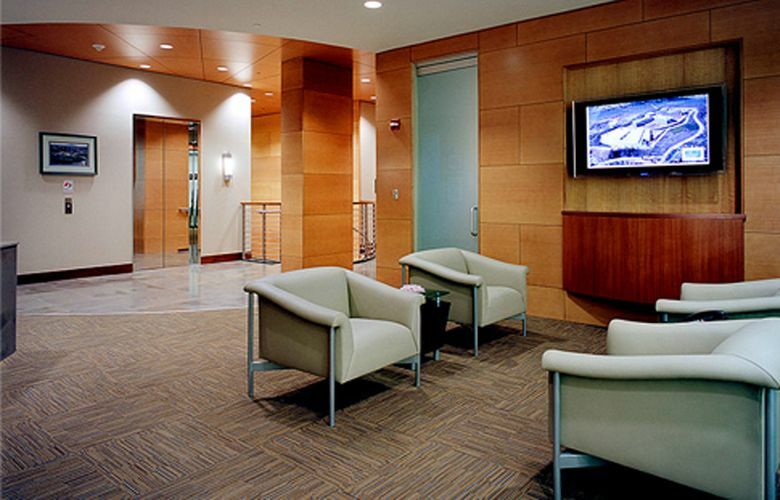 It includes private offices, open common areas, and administrative work areas at the building's core. 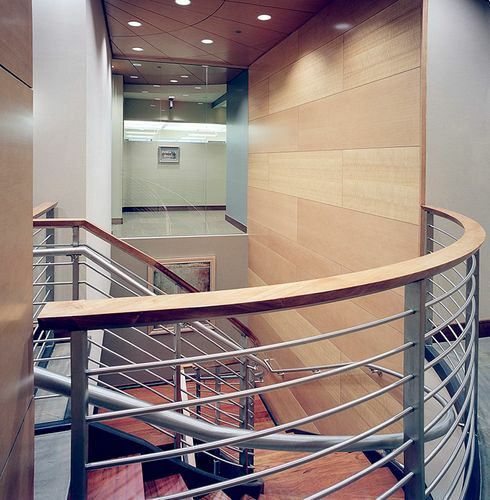 A conference/training center is located on the second floor. 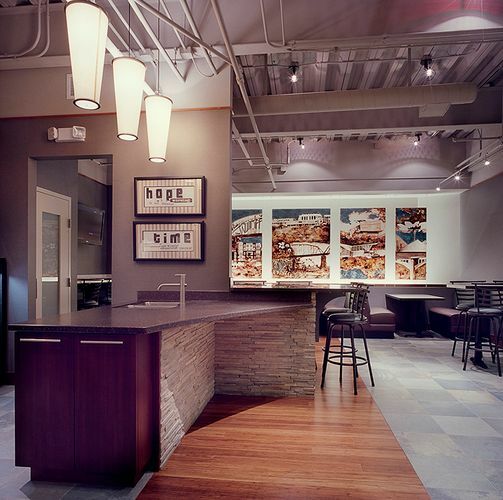 Emphasis has been places on day lighting, allowing natural light to penetrate the work areas unimpeded. 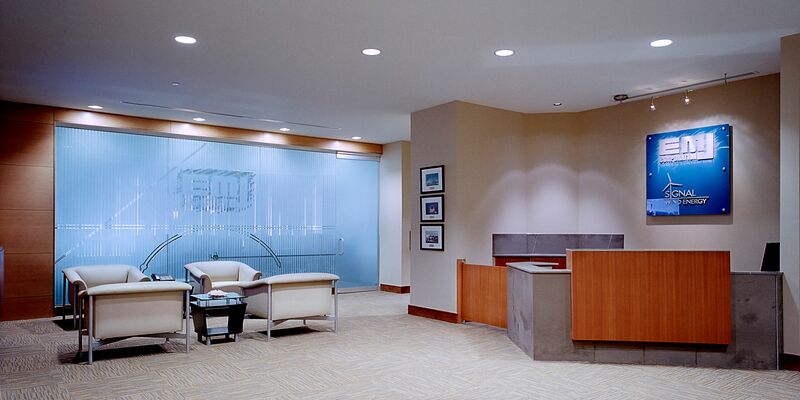 Glass partitions have been used to delineate offices located along exterior walls. 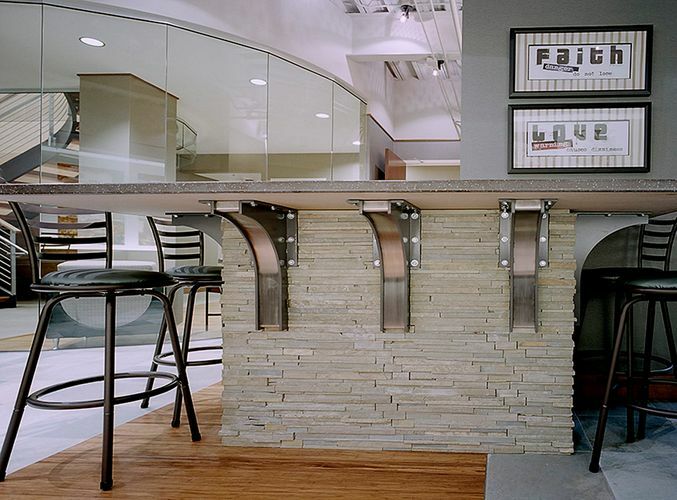 Interior offices are separated by a combination of partial-height walls and glass.